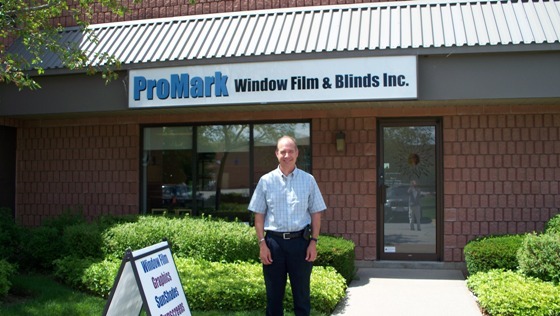 Luke Schwartzentruber has owned and operated ProMark Window Film & Blinds Inc. for over 30 years, starting the company as a partnership in 1981. Promark’s humble beginnings selling and installing window film flourished as customers quickly recognized the quality of material and workmanship. The purchase in 1983 of W.M. Shankman & Co. (a Toronto-based mylar film roller shade company owned by William Shankman since 1946) grew the business and the name became ProMark-Shankman Inc. The Film Shades (SunShades) continue to be a great compliment to our growing business. In 2008 we became ProMark Window Film & Blinds Inc. The change to our current name reflects how our business has grown to include the wide variety of window covering options that continue to become available and are a great compliment to window film.